Students investigate electric charges with an electroscope and statically charged rods. Ensure that each electroscope has a needle with a pin through the middle. Make sure this needle is properly set. Also check for missing needles during breakdown of the lab. Sandwich bags or balloons make good substitutes for silk. 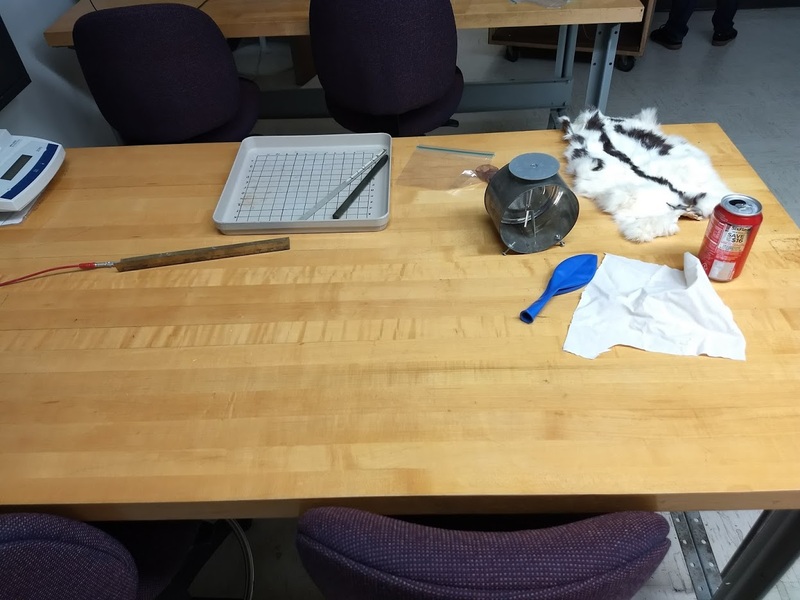 The instructor will use the Van de Graaff generator, meterstick with foil, electron dissipation demo, big electroscope, box of balloons, and bag of packing peanuts for demonstrations. Item modified on 2019-01-28 17:30:10 by andersone1.